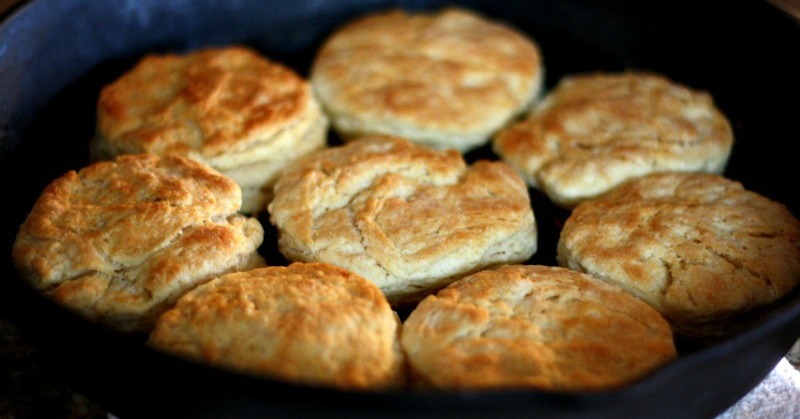 This week I pulled out my Great Grandmother’s old recipe box again and found her Homemade Buttermilk Biscuits Recipe. Can you believe I had never actually made homemade biscuits before? I was a little bit nervous. Bread recipes don’t always turn out for me the first time but I wanted to try it out. I was surprised at how quick and easy they were. SUPER easy! And..my kids absolutely loved them. So much so that at lunch time when I made them, they ate up the entire batch! Then at dinner they wanted some more, so we made another pan full and ate them with my homemade sausage patties and some homemade gravy. The texture was just what one would expect from a biscuit recipe. They were crispy on the outside with a soft and flaky center. Sift flour, baking powder and salt in a medium sized bowl. Cut in shortening 4-5 tablespoons worth or about the size of a large egg, until mixture resembles coarse crumbs. Don’t you love how the recipe called for a measurement in the size of an egg? This shows the thinking of the homesteaders at that time. I LOVE it! 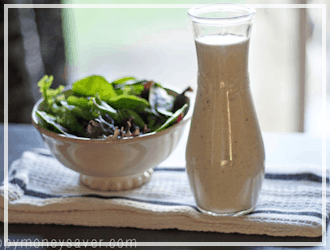 In a separate bowl or measuring cup add buttermilk and baking soda and mix till combined. 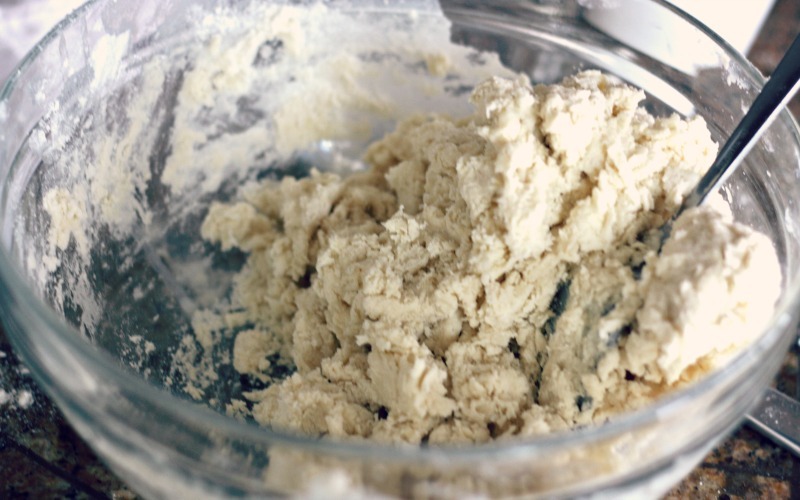 Add milk mixture all at once to the bowl of dry ingredients and mix quickly until dough follows fork around the bowl. Turn out onto a lightly floured surface and knead gently for 30 seconds. 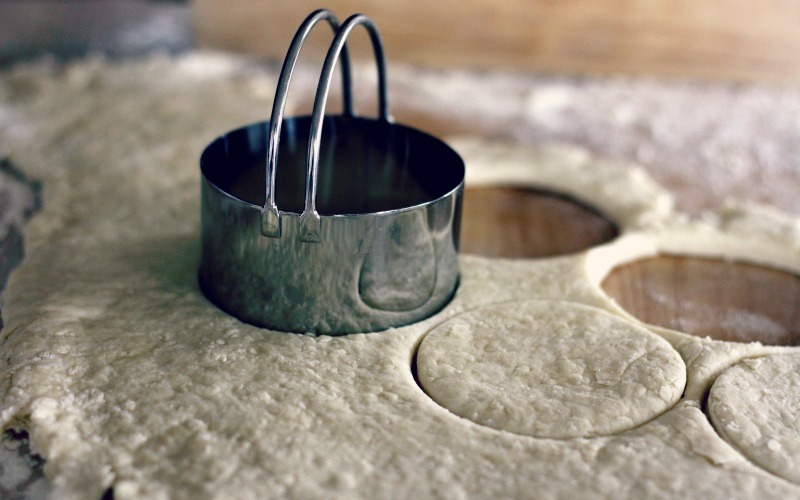 Roll or pat dough to about 3/4 inch thick and cut with Biscuit Cutter. I obviously didn’t follow this step very well as you can see below. I cut mine a little thinner. Whoops! They were still good, but would have been even better had I made them thicker. Bake in hot oven (aka about 425 degrees) for 12-15 minutes on an un-greased cookie sheet or cast iron skillet. Mine weren’t as golden as I would have liked, so I placed them under the broiler for a minute and they browned right up. Perfection! There is just something awesome about opening up Grandma’s old recipe box and making her recipes. As I looked at her handwriting, I couldn’t help but imagine who gave this recipe to her. Was it a good friend? A family member? Colonel Sanders? Did she spend the day making biscuits with her kids and watch with joy as they gobbled them up, just as I did? 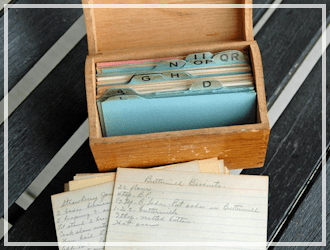 Making recipes from this old recipe box sure has brought back wonderful memories of my Great Grandma and I can’t wait to make more of her recipes. 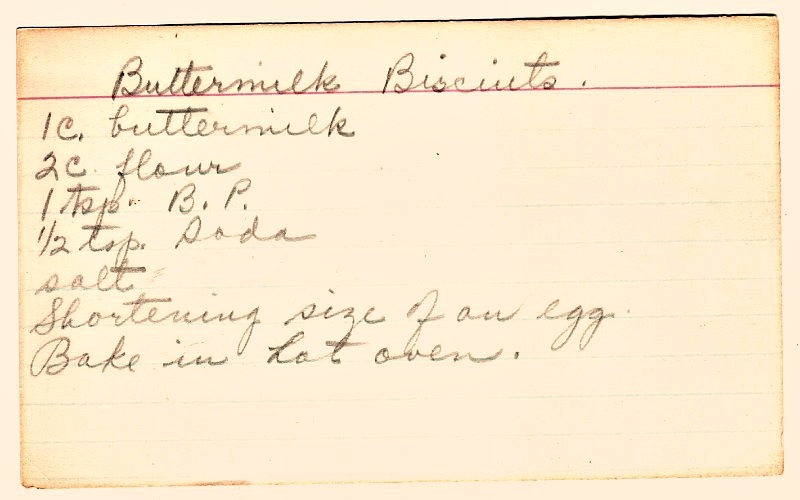 Below is a printable version of Great Grandmother’s homemade buttermilk biscuit recipe. Happy baking! Grandma’s Homemade Buttermilk Biscuits are quick and easy to make! 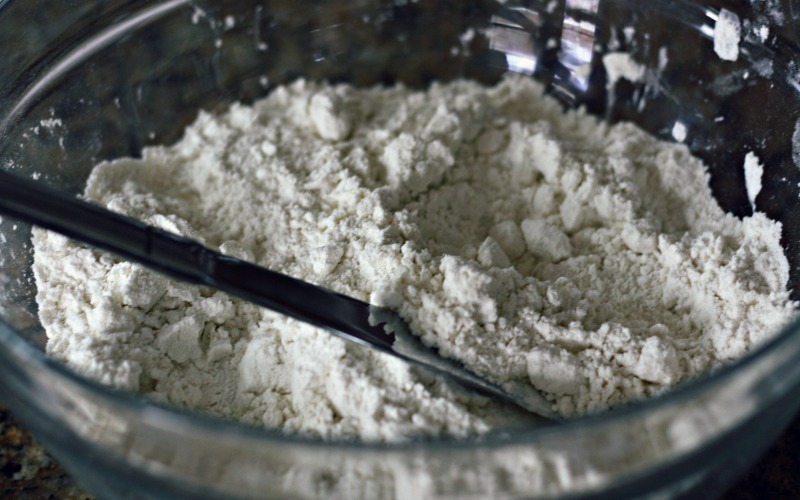 Sift flour, baking powder and salt in a medium sized bowl. Cut in shortening 4-5 tablespoons worth or about the size of a large egg, until mixture resembles coarse crumbs. Turn out onto a lightly floured surface and knead gently for 30 seconds. Roll or pat dough to about 3/4 inch thick and cut with biscuit cutter. 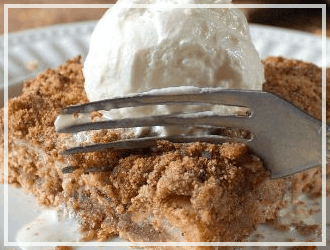 Bake at 425 degrees for 12-15 minutes on an ungreased cookie sheet or cast iron skillet. This is not only adorable but so lovely that you want to share this with us “serious” bakers. I love everything about the content, the pictures and your comments. 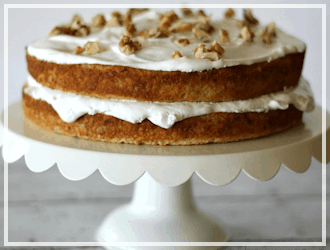 I have a recipe for a coconut layer cake on an index card from my grandmother like the one you shared. Can’t throw it away. Will be back to your website for more. Love it. No sugar, try to find them without in the grocery store. 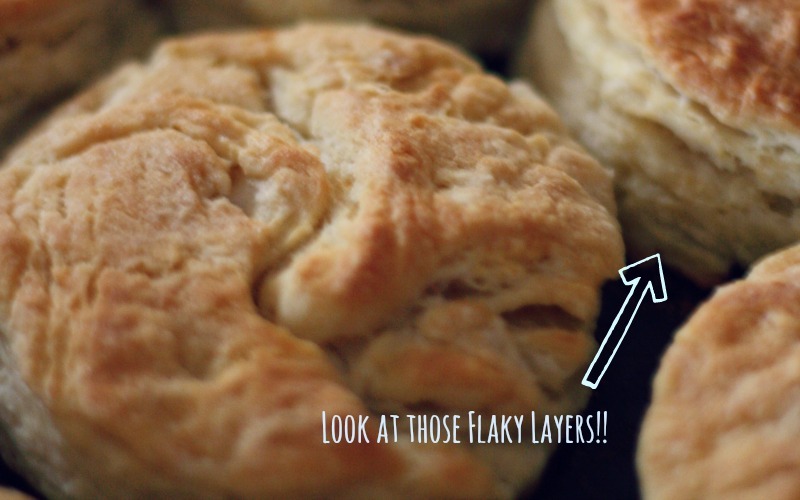 I made this Grandma’s Buttermilk Biscuits and it was best ever! Super delicious! 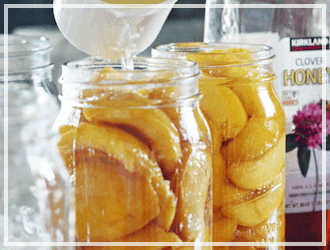 Thank You very much for sharing the recipe! I will definitely make it again! Love the “shortening size of an egg”! Thanks for posting! 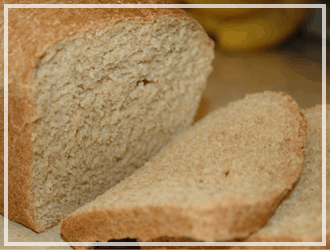 Can I use wholewheat flour for this recipe? Are these biscuits freezer safe? 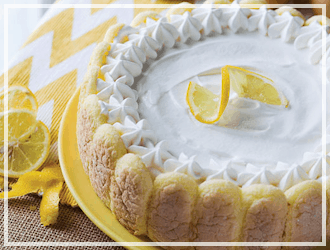 Can you make them ahead of time and then take them out of the freezer to bake? Yea they can be frozen but I would cook them first and then package them up to freeze. Then I would take them out to thswsnd then pop them in the oven or microwave to warm them up. Great for a morning breakfast! I love your website! Thank you! So far everything I have tried has been awesome! 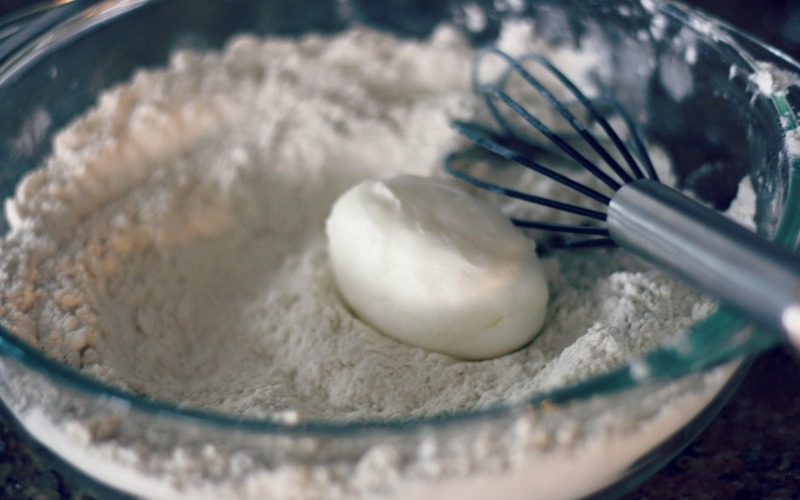 One question about your biscuit recipe, is it 1/2 or 1/3 tsp of baking soda? Your sweet grandmother’s card says 1/2 tsp. I was wondering if you had modified it to 1/3 tsp? No, just a typo–I fixed it! Thank you! Thank you for sharing the recipe. I cannot wait to try making the biscuits. Just to be sure. Did you use all-purpose flour instead of self-rising? Love these biscuits!! Can they be frozen? What were the biscuits they used to drop in stew? Any ideas? 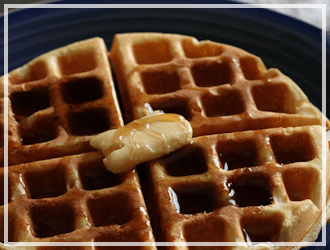 Do you have a good recipe for waffles? I had chemo during the summer and now my taste buds are really out of whack. I can taste yeast. I think I eat two slices of bread a month. Sandwiches are now breadless. Any ideas, kiddo? 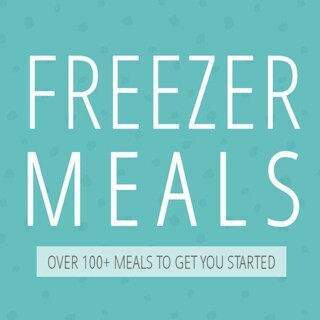 This website is a new little treasure I have recently found! I made these biscuits for the first time and they were a instant hit. I have the barley red stew invthe croc pot and I’m making the the cornbread recipe tomarrow. Absolutely can’t wait to see how it turns out!!!! The barley stew was excellent and my kids beg me for the bicuits everyday. They are great with honey and butter and I just found your recipe for honey butter!!!! Ur awesome! Thank you! I love that you have your Grandma’s recipes and share them. 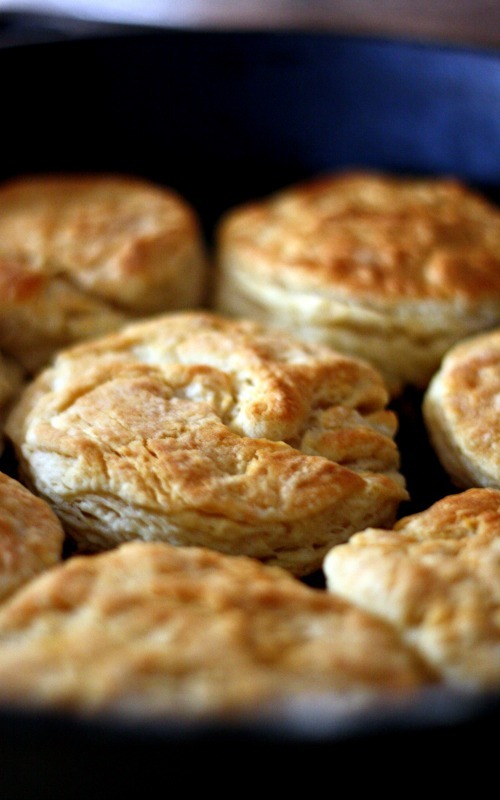 I’m a southern girl, originally from the mountains of NC where buttermilk biscuits were a mainstay. I’ve been making biscuits since age 6 not only from the teaching of my mother but also my Grandma who past away at age 95 a year and a half ago. Some of my fondest memories are waking up early in the morning to the smell of wood smoke and home canned sausage frying in a cast iron skillet on top of her home comfort wood cook stove. I’d get up before everyone else and hang out with her in the kitchen and watch her make biscuits. She used no pastry blender to cut in the shortening but used her hands and would use her hands for the entire process. She also only used homemade buttermilk. She didn’t use a biscuit cutter as we do but would pinch them off of the smooth dough she had formed into a tube. As she was shaping them, she would gently pat them with her dough and flour covered fingers and lightly place them on the dark patina pan she had used for years. She would pop them in the oven of her wood cook stove and they would come out golden, slightly crispy on top, light as a feather, and melt in your mouth Wonderful! Best of all was when she would make stove top jam to eat with them. It was like breakfast dessert! Thank so much for sharing! I greatly enjoy it! Thanks for sharing that memory! 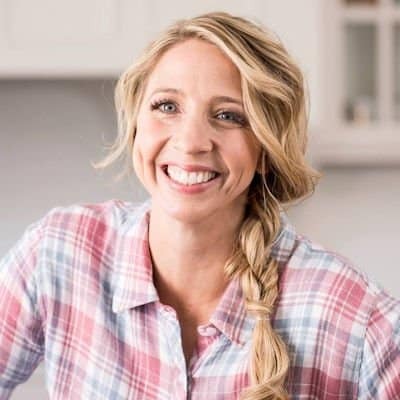 Food is such a great way to connect to our family! Jeanene……I would love to have your recipe. I’ve been trying to make my grandmas but she had no recipe, it was all in her head. Haven’t found one that tasted like hers, yet. 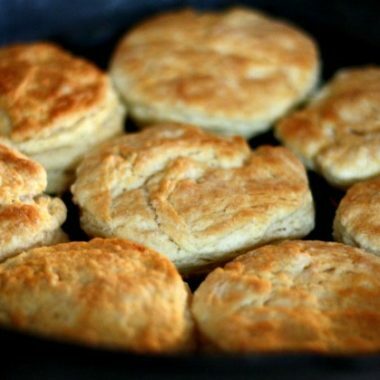 I’m always looking for different biscuit recipes, this one sounds amazing! I can’t wait to give it a try! I have a recipe in my Mom’s old church cookbook that calls for a 5 cent size Hershey bar. I still wonder exactly what size that was. I was a chid in the 60’s. At that time, many candies were 5 cents, like Good N Plenty, Bit O Honey, Sweetarts, Lemonheads, Whoppers and 5 stick packs of gum. There were penny candies, like individuality wrapped Jolly Rancher bite sized hard candies, bubble gum, sour balls, and root beer barrels. A 7″ x 3″ chocolate bar was ten cents…Nestle Crunch, Milky Way, Snickers, U-No, and so on. For fifteen cents, you could get a strip of beef jerky from the jar on the counter, artisan rock candy crystals on a stick, or a box of animal crackers. In 1964, my dad blew my young mind by offering the trivia that we HE was my age, (20 years prior) those fancy dime-each chocolate bars were only a nickel! I suppose your recipe in from the 40’s or 50’s! Fun, I love the idea of an egg-sized measurement of shortening! I look forward to trying these. Did you think the lack of butter affected the flavor at all? Not at all! The shortening did its job because I couldn’t even tell that there wasn’t any butter in them! I have been a butter freak since I had it in Toronto when I was 17. Couldn’t believe how wonderful it was. I need to try this recipe.